WordPress is a fantastic content management system that allows you to easily update your website with almost no technical knowledge. For this reason the majority of websites we develop use WordPress. Another great feature of WordPress is the amount of plug-ins that are available that allow you to easily add extra functionality to your website. Some of these plug-ins can help you get more traffic or convert your visitors into paying clients. Here are some of my favourites both free and paid. As a quick disclaimer, I would like to let you know that if you purchase some of these through the links below I will receive a commission. So if you find the information useful and wish to buy, please use the links below. A great tool for creating landing pages that get results. Getting traffic to your website is only the start, you can have all the traffic in the world but if it does not convert for you, you will not make any money. 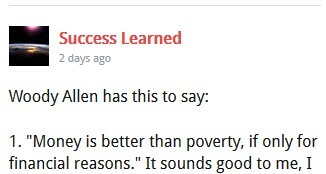 That’s where WP Profit Builder works its magic. It is a WordPress plug-in specifically designed to create landing pages that sell. It includes a library of templates as well as a drag and drop editor that allows you to easily create your own layouts. It also includes integration with your newsletter programs. I use this on every WordPress site I developed. It gives you the ability to override the title tag, set your meta description. It also provides tools to analyse your page for your chosen keywords. Best of all it is free so the price is right. 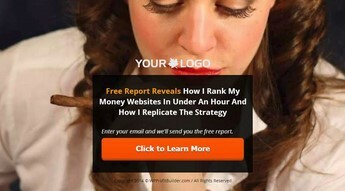 Another landing page creator with similar features to WP Profit Builder but with more templates. Add your order biography box to the bottom of each of your WordPress blog posts. This is a great way of promoting yourself at the bottom of your content. A social media monitoring tool that you can use to track your websites performance on the main social networking sites such as twitter are, Facebook, Google+ etc. Shows your latest Facebook posts on your website. There is both a free and paid version. Displays your recent tweets and use a Cache so it will read your status messages from your database. This means that it does not query twitter every time your page loads so you will not hit your query limit. This plug-in for WordPress can help you increase the number of tweaks your website content receives. 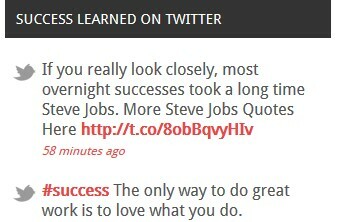 All you need to do is select the text in your post and click the Tweetdis button. The plug-in will instantly turn the selected text into a Tweetable quote. That way if you have something of interest like a statistic or a quote or a catchphrase only need to do is selected and make it a Tweetable quote. 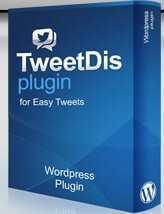 I just bought this plug-in myself so check back soon to see a lot of tweetable quotes on this site. Wp Clicks lets you see exactly how each visitor to your site interacts with each page. It makes an actual recording of each visitor to your site showing where the mouse moves where they click, where it stops and much more. This let you know exactly what people are doing when they visit your site. It also allows you to see which areas are of the most interest to your visitors because you will see them moving their mouse towards it. When you know exactly what your visitors are doing on your website you can optimise your content to make sure that visitors go to exactly what you want to do. This can make you a lot more money from your existing visitors and help prevent things like call to action is the best. Whats your favourite WordPress Marketing plug-in?